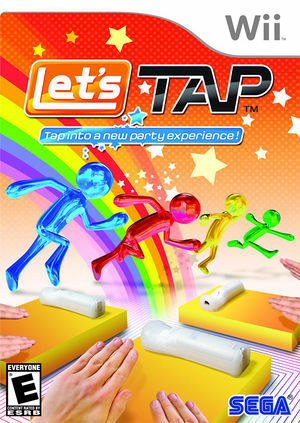 Let's Tap is a video game developed by Yuji Naka's studio Prope and published by Sega for the Wii console. Along with Let's Catch, Let's Tap was the first game from Prope to be announced. Owners of Let's Tap will be able to unlock content in Let's Catch. The graph below charts the compatibility with Let's Tap since Dolphin's 2.0 release, listing revisions only where a compatibility change occurred. This page was last edited on 16 January 2018, at 11:47.